Contact us today for assistance! 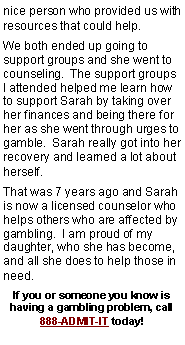 You may also be interested in information on our free online training module for certification as a Compulsive Gambling Counselor. Contact us now for more information!